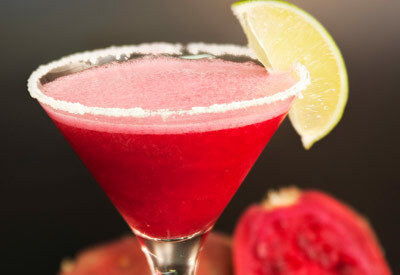 Place cactus pear chunks in blender with pineapple juice. Cover and process until fruit is pureed. Strain to remove seeds, if desired. Moisten rim of glass and dip in coarse salt, if desired. As a smoothie, blend ingredients with crushed ice and omit the salt.